A couple of weeks ago myself and Mark J headed north of the border to visit the chaps at Scotia Grendel and stay at the fantastic Hallgreen Castle, their base of operations. After a long drive we headed down to the local village hall on Friday evening to join the local wargames club for their weekly meet. Elton, from Scotia Grendel, had arranged for a 2 v 2 battle using a new game and range of figures he's developing for 'Goblin Civil War'. So the idea was we gave the rules a run out and worked on developing them. A great evening, and over 3 hours of gaming and development. Terrain and figures WIP and the rules played well. Incredible memorial on the wall of the village hall to the designer of the 'Cutty Sark'. After a great evenings gaming it was off to bed as we had an early start in the morning as we were off to the Targe show in Kirriemuir with the Scotia Grendel stand. My room at Scotia Grendel HQ, the fantastic Hallgreen Castle at Inverbervie! Saturday morning dawned and after the bacon butties we headed off to Kirriemuir for Targe 2018. After setting up the stand we were ready for the day. There were some fantastic games on display including the amazing 'Barrikady Gun Works - Shed 6' game by the Glasgow Warhogs and the Gothenburg Gamers 'Suez 1956' game. 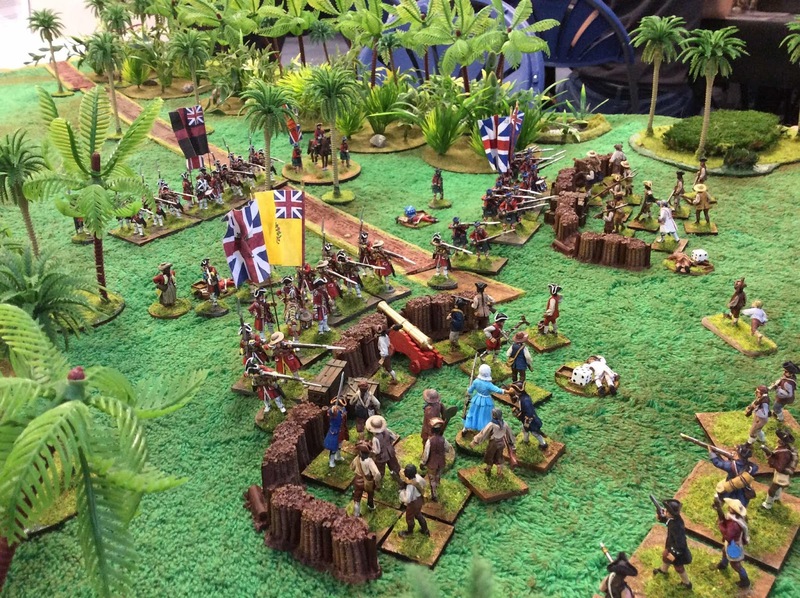 A superb table, using a quick play set of rules based on Bolt Action, representing the Barrikady Gun Works - Shed 6. A stunning piece of work which thoroughly deserved it's 'Best in Show' and 'Best Terrain' awards. I believe one of the senior members of the Kirriemuir club stated ... "in my 55 years of gaming that's the best game I've ever seen". Over 9000 bricks were produced, using matchsticks, and scattered over the table. One of my favourite sections was the machine shop with 3D printed lathes, drill presses and milling machines. The scenario involved the Soviets occupying the factory with German forces advancing through the nearby workers housing. 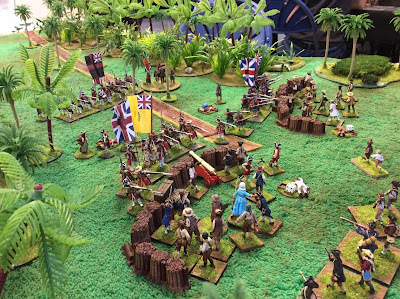 One excellent idea was the chaps had produced a handout which detailed the terrain build from start to finish. 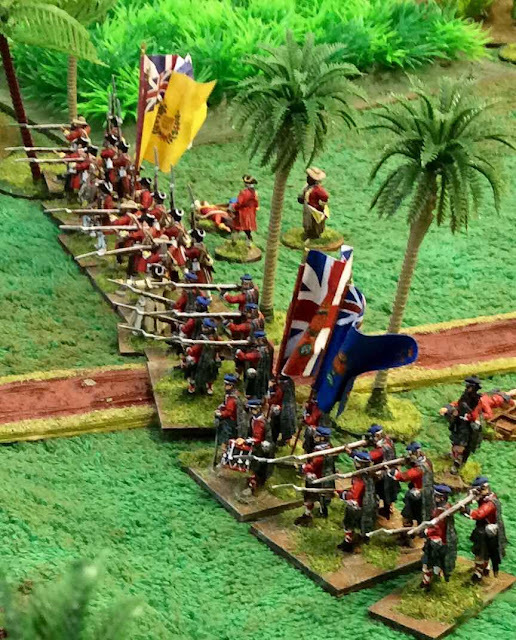 Check out https://glasgowwarhog.blogspot.com for some more pictures on the game and some information on the building of the terrain. Another fantastic table was produced by the chaps from the Gothenburg Gamers with their 'Suez 1956' game. Another impressive game was this 28mm Napoleonics battle on a 10' x 6' table. It featured the Russians fighting the Prussians. 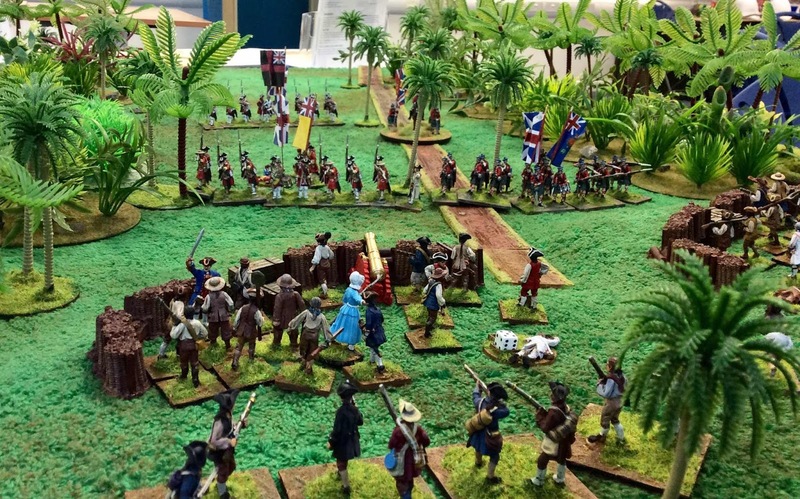 Figures and terrain were superb. Really liked the look of this 1938 game set in Czechoslovakia. Great little table depicting a battle from the British Expedition to Guadeloupe and Martinique in 1759. 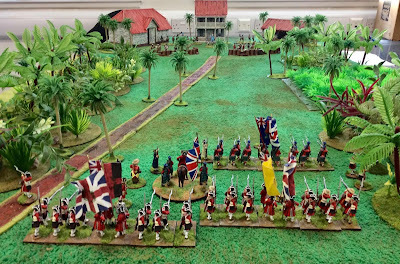 This game involved the British attack on the plantation of Madame Ducharmey. 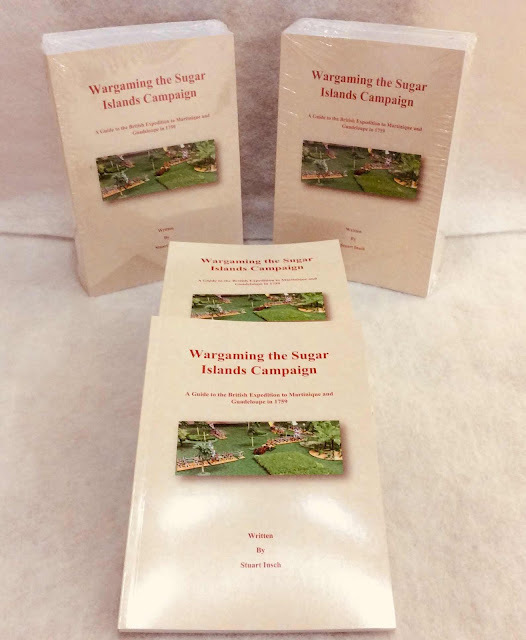 One of the players, Stuart Insch, has written a great little wargamers guide to the campaign. I picked up a copy as it looks as though it would work well with the Sharp Practice II rules. 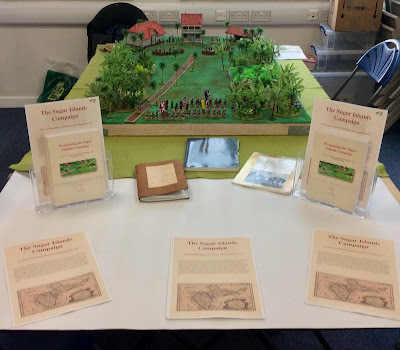 Photos of some of the other games on display. Chain of Command Rif War, Batman, Rhodesian Bush War and Carry on Up the Khyber. A great weekend with Sunday dinner after a morning playing another development game of Goblin Civil War. More on GCW soon! As always thanks for looking. Check back soon for more information on the beginnings of my 'Goblin Civil War' project.